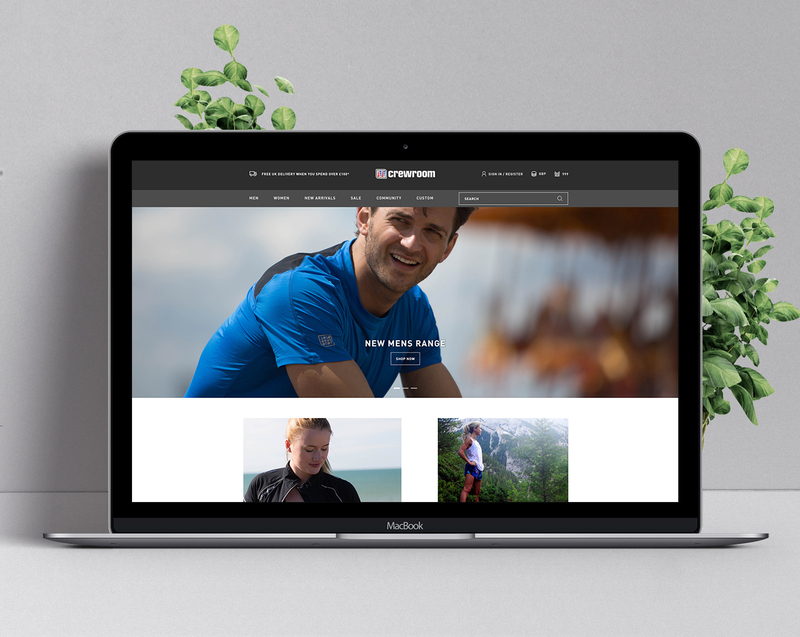 A focus on innovative design and ecommerce performance for elite sportswear brand and Cancer Research UK Boat Races Official Sponsor, Crewroom. Crewroom provides high quality, functional and stylish sports kit for athletes at grass roots right through to national level. Customers include the Great Britain Olympic Rowing Team, Oxford University Boat Club Boat Race Team and the Leander Club. The majority of Crewroom’s sales are generated online. The challenge was to design an easy to navigate website that would accommodate the company’s custom selling process. Crewroom offers a range of fully bespoke garments which can be customised to suit your team's requirements. The website had to allow the customisation of the garments and kit mixes for individual teams. Crewroom sell to universities clubs and sports clubs and also individuals. The new solution had to accommodate both user journeys and purchasing types. PureNet built a fully integrated, easy to navigate and stylishly designed solution that allows Crewroom to merchandise its range of products online. The solution gives Crewroom full WYSIWYG editing of their website, the ability to manage promotions and campaigns, and specify related products. The solution has an online shopping facility for Crewroom’s existing customers called the Teamroom function. This acts as virtual assistant to club kit officers and allows team members to purchase and pay for club kits online during designated order windows. At the end of each window all orders received during that period are collated and placed with the factory. As part of the project, PureNet implemented a Personalised Search and Merchandising Solution, PureClarity, that allows Crewroom to personalise on-site content based on customers’ previous behaviours. The site allows Crewroom to more effectively manage their unique selling process providing enhanced customer service and improved managed of orders. 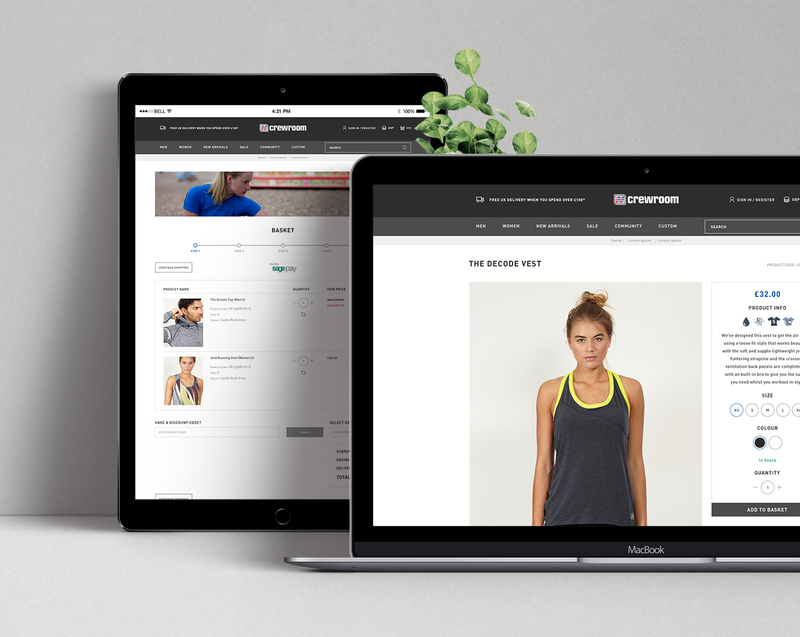 Crewroom has further invested in its ecommerce solution by undergoing a full website redesign in 2017. The website has continued to grow and expand since launch with Average Order Value, Online Revenue and Number of Orders all increasing on a yearly basis. Crewroom's revenue continues to grow Y.O.Y. The new, engaging solution has led to a yearly increase in page views. Crewroom's new ecommerce footprint has accelerated its growth. The new and improved UX means less bounces and more sales. Looking for a Gold Standard Ecommerce Solution?